Imagine the potential energy savings when you can choose not to heat or cool unused rooms, such as guest bedrooms, while at the same time keeping your bedroom or the living room at the perfect temperature for comfort. You can do that with a ductless split system. 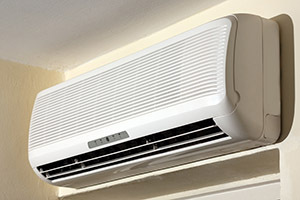 Ductless split systems relieve you from the guesswork of ductwork, whether your home lacks ductwork, you’re building a new home or adding onto your current home. It’s the most flexible solution for your Utah home’s heating or cooling needs. Single or multi-zone styles are offered, and can be installed high on the wall, in the ceiling or near the floor—flexibility at its finest. If you want to know more about our ductless split system offerings, call Best Heating & Cooling today to discuss your options with a comfort consultant today.